KUALA LUMPUR (June 1): Palm oil mill manufacturer Dolphin International Bhd saw the Malaysian public portion of its initial public offering (IPO) oversubscribed by 6.17 times. In a statement today, it said a total of 4.47 applications for 107.6 million IPO shares were received from the Malaysian public for a total of 15 million IPO shares available for public subscription. It added that 7.5 million IPO shares have been set aside for allotment under the bumiputera category which represents 50% of the shares offered for public subscription, while the balance of 7.5 million shares were allotted under the public category. Dolphin said a total of 1,892 applications for 44.57 million IPO shares were received for the bumiputera category which represents an oversubscription of 4.94 times, while under the public category 2,576 applications for 63.03 million shares were received for an oversubscription of 7.4 times. Malaysian Issuing House Sdn Bhd also confirmed that the private placement of 22.75 million IPO shares has been placed out. 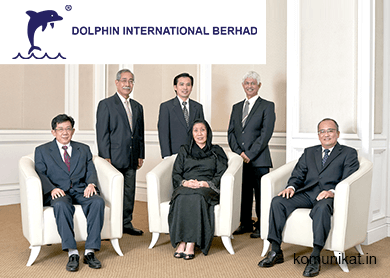 Dolphin was expected to be listed on the Main market of Bursa Malaysia on June 9 this year. At an issue price of 68 sen per share, Dolphin will have a market capitalisation of RM150.96 million upon listing. Meanwhile, all notices of allotment for these IPO shares will be mailed to successful applicants on or before June 8, 2015. Hong Leong Investment Bank Bhd is the principal advisor, underwriter and placement agent for the IPO.